There is little doubt that student motivation is essential in providing a beneficial learning experience. One way to provide such motivation is to stimulate it through the most suitable methods of assessment. This paper shares the experience acquired by the authors - university lecturers in Civil Engineering at the Universidad Politécnica de Madrid – both through their assessment methods and the feedback received via the Moodle platform. 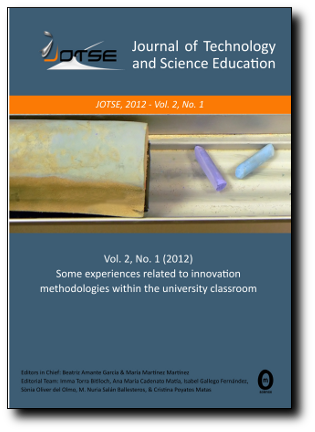 Over the last eight years the authors have introduced increasingly dynamic methods in their teaching and assessment, with highly satisfactory results being obtained. Over the last three academic years a test through co-assessment has been added and during the two an assessment exercise implemented through the Moodle platform. Each test has a weight of 5% of the final mark for the module. After sitting the respective Moodle test, the students filled in a questionnaire that sought their views not only on the teaching methods but also on how motivational they found such methods. As expected, the results showed that the students considered the internet-based Moodle platform to be useful. However, the most notable finding was that the majority felt that alternative teaching and assessment methods such as, among others, cooperative learning, were those that were most beneficial to their learning experience.